Oh dear. 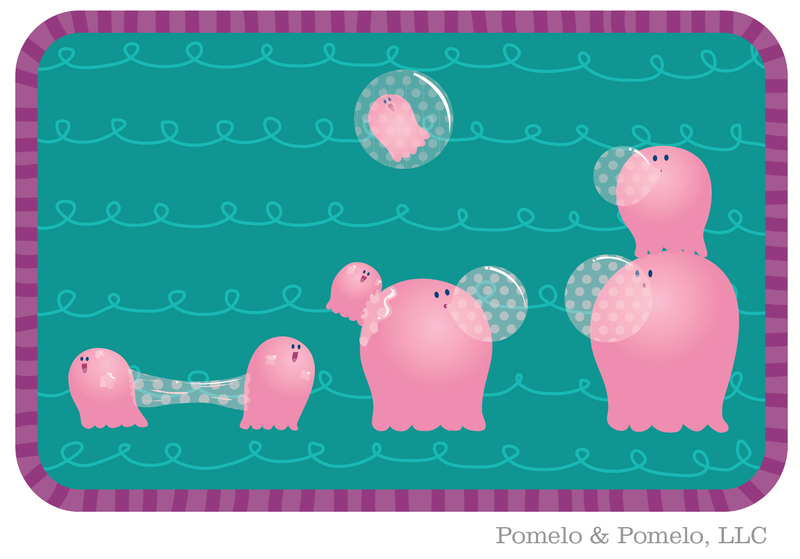 The meebs are blowing bubblegum bubbles! This always ends in a sticky mess! I guess they don’t mind that much, the stickier the better. Whoa!!! What a stack of pancakes!!!!! This little Meeb has his hands (and tummy) full! Wonder how long it will take him to eat all those pancakes? My guess: 10 seconds. Ahoy! 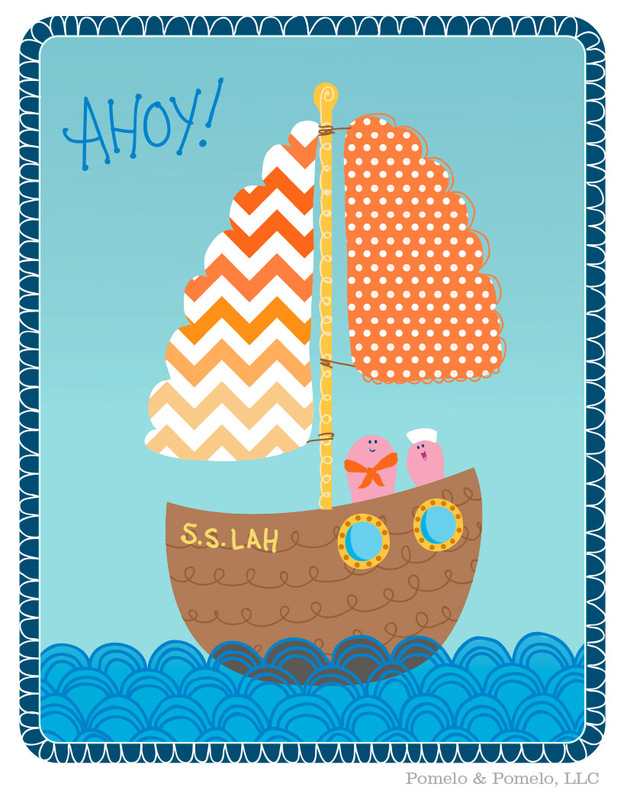 Seems like the meebs decided to go on a bit of a sailing trip… I hope they packed plenty of juice and pancakes, otherwise they will have to return to port! Hello! Aren’t you lucky! 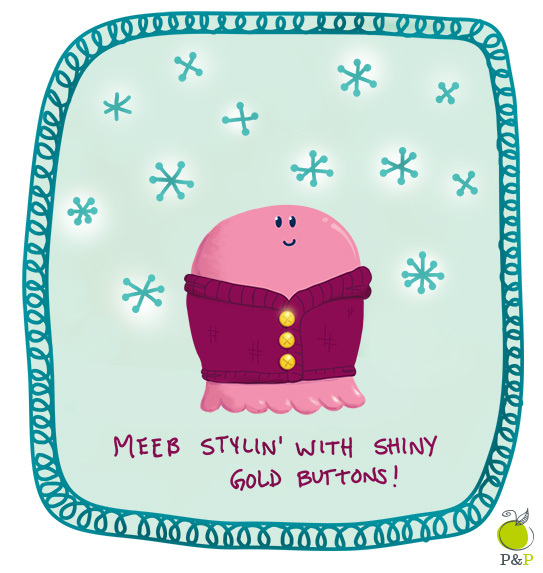 Today’s the day Meebs will start to make a regular appearance on this ol’ blog. 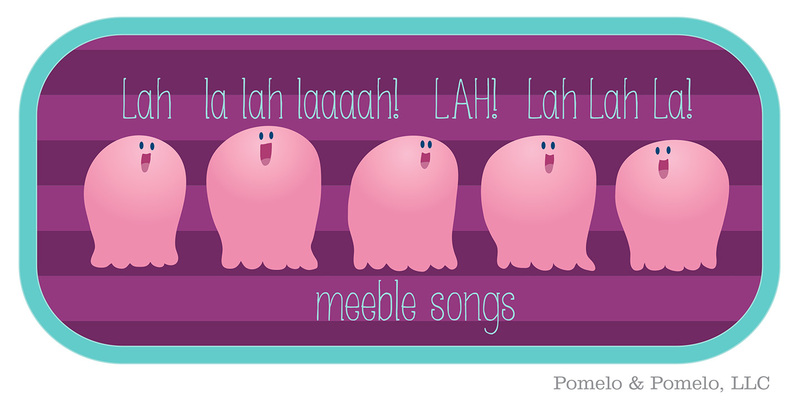 Keep a look out for “Meeble Mobs”. Sometimes Meebles mobble but they don’t fall down! 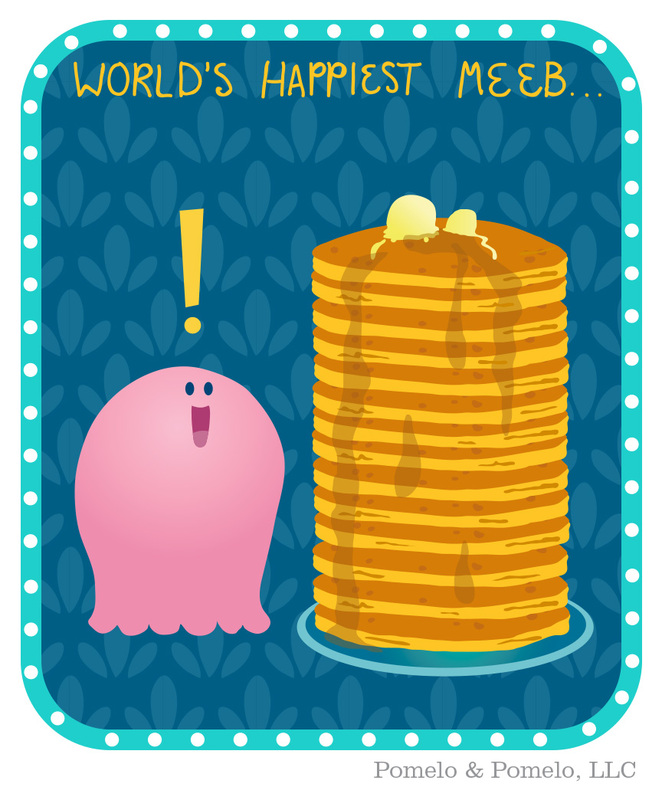 For anyone who is not in the know (shame on you), Meebs are sweet little pink bundles of happiness. Everyone has Meebs. Meebs are great! They love pancakes and a good place for tucks (naptime). Meebs also have a lot of their own words for things. Meebs love to sing! Lah!!! Enjoy these sweet little Meebs!